‟South Africa’s social grant saga vividly illustrates the dangers of this increasingly popular development narrative. There's considerable public outcry in South Africa over the corruption and 'exploitative' business practices surrounding a smart-card-based social grant programme. What has been overlooked is the role of the World Bank. Originally published by the ROAPE Blog (Nov. 13, 2018). 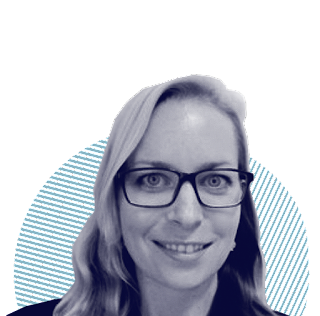 Lena Sophia Gronbach is a researcher with the Human Economy Research Project at the University of Pretoria. Her work focuses on the role of financial inclusion and financial technology in the payment of social cash transfers and the impact of financialization on social policy. The public debate on South Africa’s ‘social grant saga’ portrays the case as a typical example of political corruption, personal incompetence and corporate greed. However, as Lena Gronbach argues, behind the headlines is an agenda developed by the World Bank in the early 2000s, which sees poverty as a problem of financial exclusion and restrictive financial markets, rather than the result of deeper structural issues and the lack of a regular and adequate income. This has been nothing short of a fundamental shift in development policy. In 2012 South Africa’s Social Security Agency SASSA appointed Cash Paymaster Services (CPS), a private financial service provider, as the sole paymaster for the country’s extensive and rapidly expanding social grant programme. This move was designed to address concerns about payment efficiency, high levels of grant fraud, and the fragmented nature of the previous provincial grant payment system (see Christopher Webb’s blogpost here). Social grants are paid to over 17 million beneficiaries in South Africa and represent the main source of income for close to a quarter of the population. In the context of persistently high levels of poverty, inequality and unemployment – the country’s so-called ‘triple challenges’ – social grants thus constitute the government’s flagship poverty alleviation programme and constitute the backbone of social policy in the post-apartheid era. As part of the new grant payment model implemented by CPS, recipients were issued with biometrically-enabled smart cards which they could use to withdraw their grant money or to make electronic payments. Moreover, they received free bank accounts provided by CPS’ banking partner Grindrod Bank, as well as access to a range of basic banking and payment services. In addition to making the collection of their monthly grant payments more convenient and flexible the new payment model allowed grant beneficiaries – many of whom had previously been excluded from the formal financial sector – to gain access to electronic payment products, insurance, savings and credit offered by formal financial institutions. This represented a major step towards greater financial inclusion which, in turn, was considered a crucial step in the process of addressing South Africa’s legacy of systemic racial economic exclusion and the high levels of informality in the country’s financial sector. Financial inclusion – blessing or curse? Financial inclusion is commonly defined as access to useful, appropriate and affordable financial products and services, such as payments, transactions, savings, credit and insurance by individuals and households, delivered in a sustainable and responsible way. In recent years, financial inclusion has become a core concept in the international development discourse and has been adopted and implemented by a broad range of national governments and financial regulators. According to the World Bank, the G20, and a range of other international organizations, developing inclusive financial systems is a key enabler to reducing poverty and inequality. In South Africa, financial inclusion was adopted as part of the country’s Black Economic Empowerment programme and specific financial inclusion targets were set in the 2004 Financial Sector Charter. Yet, many poor households remained without access to a formal bank account which is generally seen as the first step towards broader financial inclusion. In this context, the extensive social grant programme represented an ideal opportunity to ‘bank the unbanked’ at a large scale while increasing the efficiency and transparency of the payment system at the same time. ‟The extensive social grant programme represented an ideal opportunity to ‘bank the unbanked’ at a large scale. However, shortly after the implementation of CPS’ new grant payment system, the Black Sash Trust (a veteran civil society organization) discovered a rapid increase in irregular, unauthorized and undocumented debit deductions from beneficiaries’ grant accounts. These deductions – which in some cases consumed the entire grant value – consisted in payments for prepaid electricity and airtime, insurance and microloans. Upon closer investigation more than half of these deductions could be traced back to other subsidiaries of CPS’ parent company Net1 who were leveraging CPS’ direct access to a large and promising customer segment. 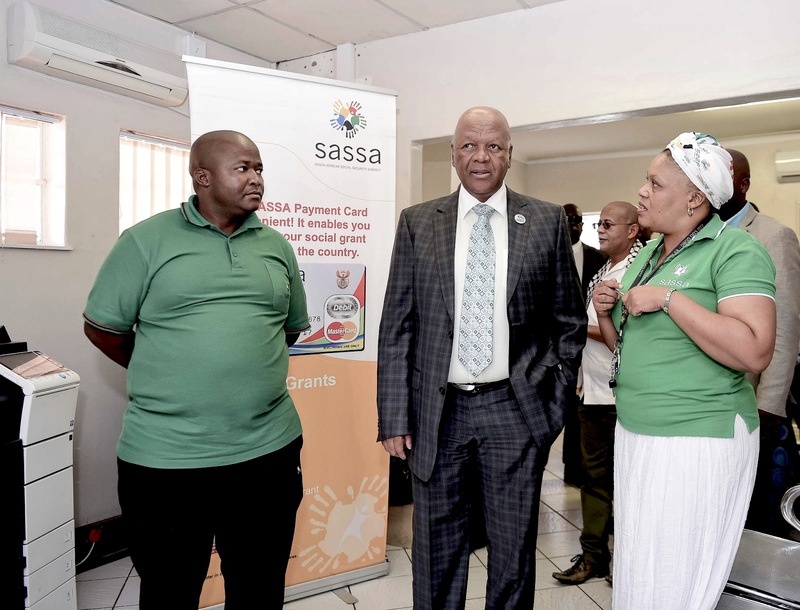 Numerous grant beneficiaries complained that they had never authorized these payments and were unable to stop them, despite lodging complaints with SASSA, CPS, Grindrod Bank and various financial service providers. However, several attempts to outlaw debit deductions from grant accounts, led by SASSA, the Black Sash and the Department of Social Development, remained unsuccessful and the hastily instituted recourse system struggled to keep up with the thousands of complaints that continued to reach SASSA on a monthly basis. Moreover, a 2014 Constitutional Court ruling declared the award of the contract to CPS invalid due to procedural flaws in the tender process, which led to a frantic scramble for a new payment solution. After failing to deliver on its promise to develop an in-house payment system, SASSA appointed the South African Post Office (SAPO) as its new paymaster in 2017 in an attempt to regain control over the grant payment system. However, the on-going transition process has been marred by technical glitches and payment delays, and the costs of developing yet another grant payment system are threatening to escalate. In addition, Net1 will continue to sell its financial products and services to South Africa’s poor, thanks to the extensive customer base it managed to establish during its time as national grant paymaster. From 2013 onwards the case was widely reported by the local media which caused a considerable public outcry over Net1’s ‘immoral’ and ‘exploitative’ business practices. Further, the conduct of DSD Minister Bathabile Dlamini and her handling of the social grant crisis was widely criticized as ‘incompetent’, ‘reckless’ and ‘grossly negligent’. In other words, the public debate on South Africa’s ‘social grant saga’ portrayed the case as a typical example of the political corruption, personal incompetence and corporate greed that have become a prominent feature of contemporary South Africa. In light of the numerous allegations of corruption and the many examples of questionable political decision-making surrounding the case, the above conclusion is by no means unfounded. However, what has generally been overlooked by both journalists and civil society is the fact that the basic idea of using social grants as a vehicle to promote financial inclusion with the help of private financial companies neither originated with corrupt politicians nor with greedy corporations – on the contrary. The concept was developed by the World Bank in the early 2000s and has since been adopted by numerous international organizations, policy makers and national governments. It pushes for a shift from cash-based to electronic government-to-person (G2P) payments, the introduction of biometric identity verification systems, and the creation of incentives for private financial companies to offer formal financial services to social grant beneficiaries. According the proponents of this ‘G2P strategy’, this will create a triple-win scenario for states, financial companies and the poor alike. It will allow governments to improve payment efficiency, open up new markets for financial companies on the back of lucrative government tenders, and bring the multiple benefits of financial inclusion to the poor. ‟The focus of social policy is thus shifting from the provision of free or affordable public services to facilitating access to consumer loans which the poor are then expected to use to purchase these services from private providers. This strategy, which is largely based on the neoliberal belief in efficiency, cost-savings, private sector involvement and market-based economic policies, represents a fundamental shift in the global development discourse. Moving towards what the celebrated welfare economist, Lena Lavinas, has termed ‘the financialization of social policy’, the poor are increasingly portrayed as self-reliant, empowered and responsible emerging consumers who – provided they receive adequate financial literacy training – will leverage their new-found access to formal financial services to escape the vicious circle of poverty and inequality. The focus of social policy is thus shifting from the provision of free or affordable public services to facilitating access to consumer loans which the poor are then expected to use to purchase these services from private providers. In this context, poverty becomes a problem of financial exclusion and restrictive financial markets, rather than the result of deeper structural issues and the lack of a regular and adequate income. Interestingly – and controversially – this narrative has retained its popularity despite the growing body of literature and empirical evidence questioning the developmental impact of microloans and warning of rising levels of over-indebtedness among the poor (see Milford Bateman’s blogpost here). In South Africa this phenomenon is illustrated by the high levels of credit-active consumers with impaired credit records and the rapid expansion of unsecured consumer credit to low-income households, including social grant recipients. And while the provision of consumer credit is certainly a lucrative source of income for financial companies – especially if repayment is guaranteed via automated debit orders from bank accounts – evidence from around the world has illustrated the dangers of the credit-centred nature of the current financial inclusion agenda. South Africa’s social grant saga vividly illustrates the dangers of this increasingly popular development narrative as well as the limits of the triple-win rhetoric that underlies the ‘G2P strategy’. In addition to the controversial impact on grant beneficiaries, the outcomes for the state and its private contractor have been equally mixed. After spending R10bn (US$700m) on the initial five-year contract with CPS, as well as millions in additional fees for several contract extensions, SASSA will now have to carry the – still unknown – cost of implementing yet another grant payment system. An expert panel tasked with overseeing the payment transition has already warned of a potential cost escalation, stating that it is unlikely that the decision to award the grant payment contract to SAPO will result in the best use of taxpayers’ money. As for Net1, although the company managed to establish a solid customer base for its financial products outside of the SASSA contract they might have to pay back millions made in profits over the past six years. According to the Constitutional Court, who ruled that the award of the grant payment tender to CPS had been ‘unconstitutional’ due to numerous procedural flaws, the company should not be entitled to any financial benefits derived from an unlawful contract. Rather than merely being an example of political corruption and incompetence – as frequently suggested by the media – South Africa’s ‘social grant saga’ is thus illustrative of a fundamental shift in development policy and in the discourse on the relationship between poverty and finance. Hence, in order to understand the case in terms of its ‘bigger picture’ we need to look beyond the narrow angle of analysis applied by the current public discourse. The ‘financialization of social policy’ is by no means a uniquely South African phenomenon and numerous developing country governments – including Brazil, Mexico, India and Colombia – are currently heading down a similar path. And unless the costly lessons learned from the South African experience serve as a warning to its peers in the global South, other countries may very well end up in a similar situation and discover – yet again – that the promise of a triple-win scenario was simply too good to be true. Ultimately, the question should not be whether governments can create a lucrative business case for financial companies but whether we can make finance work for the poor instead of the other way round.